A relaxing scalp massage followed by Swedish techniques with a focus on neck, shoulders and upper back, where many carry stress and tension. Provides maximum benefits in a limited time. Swedish massage focuses on relaxation with light to medium pressure using a variety techniques, messaging in the same direction as the blood flows back to the heart. We use only the mind and body with the deep benefits of massage. Deep pressure is used to reach deeper layers of muscle where aches and pains are held. Your massage therapist will start with a Swedish technique to warm the tissue before moving into deeper work. 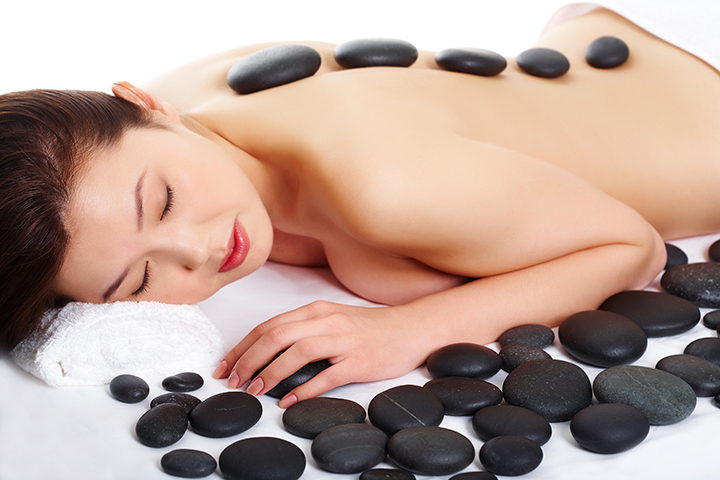 Stone therapy goes beyond the physical experience of most massages. You are able to enter deeper dimensions of relaxation and well-being. Heated basalt river stones are placed on specific points to gently warm and sooth. This rhythmic massage thoroughly dissolves tensions and calms the spirits.